Guess what my friends? I’ve discovered something amazing! And when I say amazing – I mean AMAZING!! Have you ever wanted a latte but you don’t want to get dressed or leave your house? There are many days when I’m in my pajamas and I wish that someone would deliver a mocha latte to me and I wish there was a coffee delivery service. Well, now I can make my own homemade lattes thanks to the NEW International Delight® One Touch Latte™. 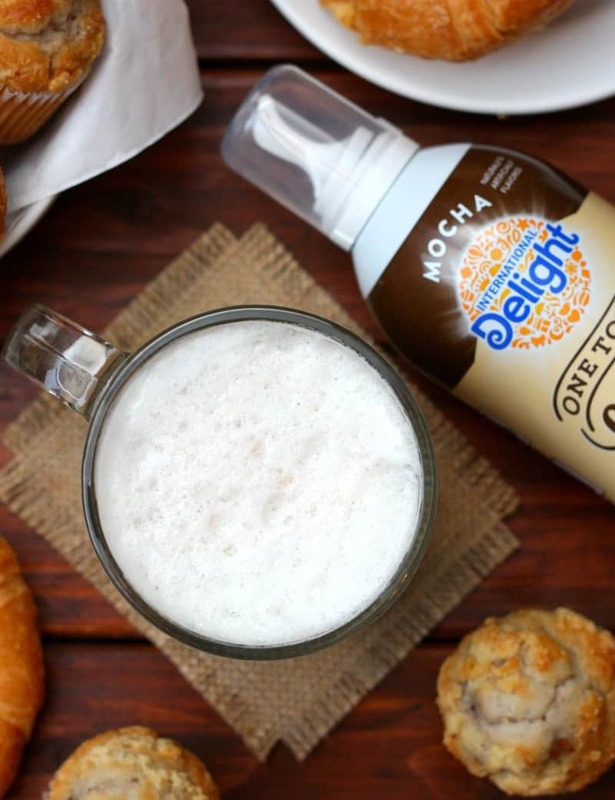 Say hello to the very first FROTHING COFFEE CREAMER— destined to be the new BFF of creamer lovers everywhere. It’s now available at your local Walmart! Just look at that froth! And guess what? You get 7 uses out of one can. That’s a great value for a delicious at-home latte. 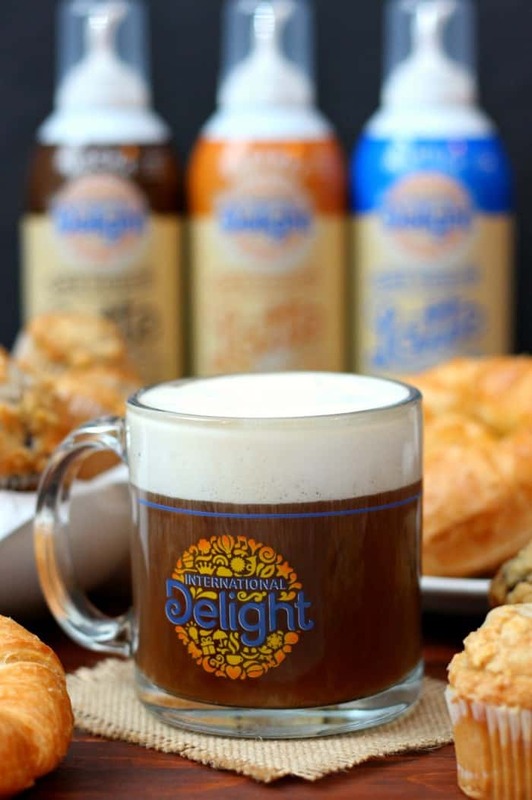 The NEW International Delight® One Touch Latte™ allows you to make your very own sweet, frothy latte in seconds. It turns a plain-jane cup of coffee into a sweet and creamy, fabulously frothy, foam- topped latte. It sweetens, it creams, it flavors, … IT FROTHS! FOR REAL. Just shake it, press, and—ta da!—it transforms your everyday coffee into a foam-topped latte. It’s the first-ever frothing creamer! Just point and press to transform your home-brewed coffee into a coffeehouse-style latte in seconds. Yep – You read that correctly – in three easy steps, you can start every morning with a creamy, flavorful latte made by your favorite barista–you! Step 1: Just fill your cup 2/3 with coffee. Step 3: Press and hold for 5-7 seconds. Then sit back and enjoy! It will be available in Vanilla, Caramel and Mocha and I was lucky to have the opportunity to try all three. And, honestly, I LOVE them all. 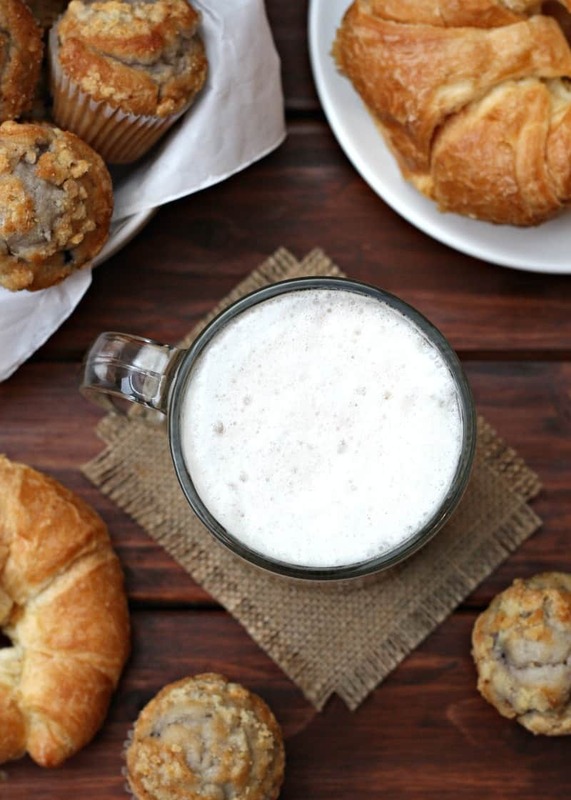 I love that I can turn my everyday coffee into a sweet, frothy latte in three simple steps! So now I get to enjoy my THREE step frothy latte at home in my comfy pajamas – LIFE IS GOOD! 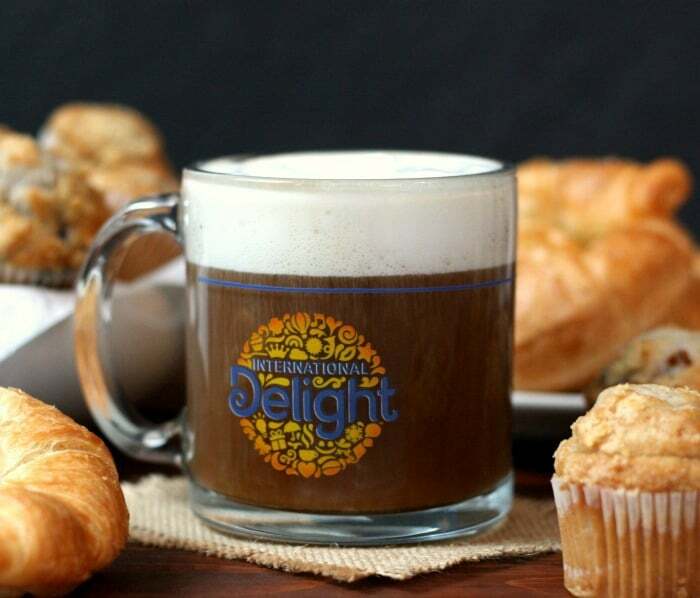 Head to Walmart to pick up the NEW International Delight® One Touch Latte™. 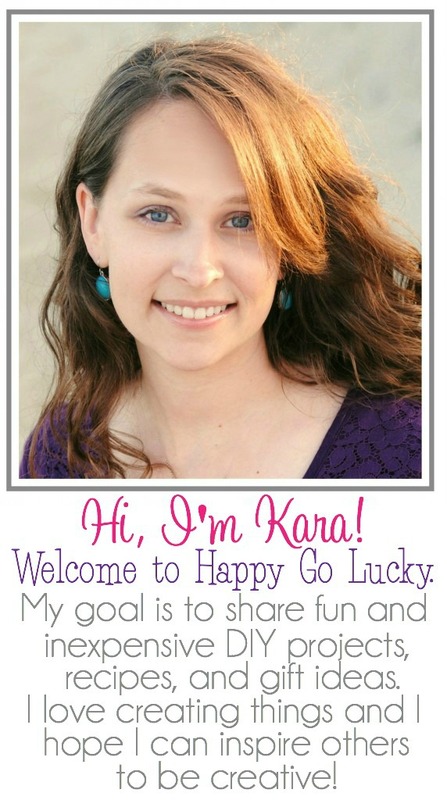 And, we can’t talk about lattes without a free printable. 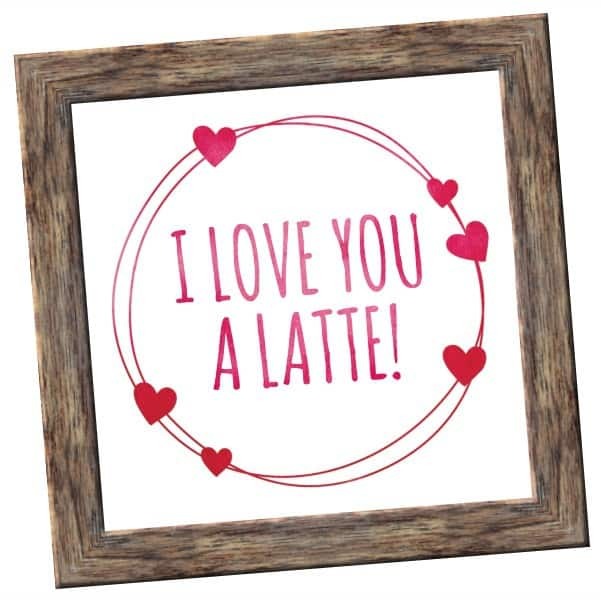 In honor of Valentine’s Day, I thought a cute “I love you a latte” printable would be fun. Make this into a card, gift tag, or place in a frame for your sweetheart.